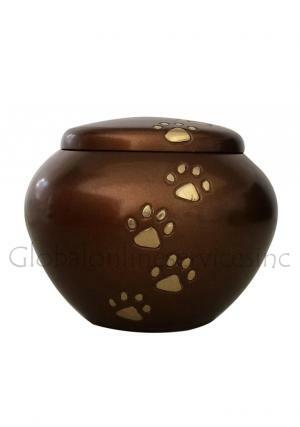 The York brown pet memorial urn uses a beautiful bronze-effect finish on brushed and polished brass. 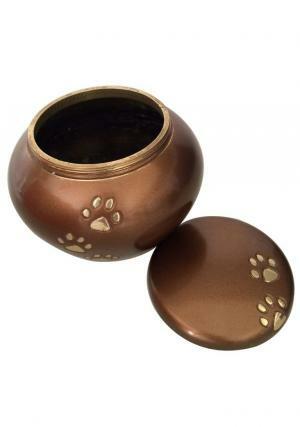 At 3.5" in height by 4.25" through its widest point, the urn is well suited to small and medium sized pets. 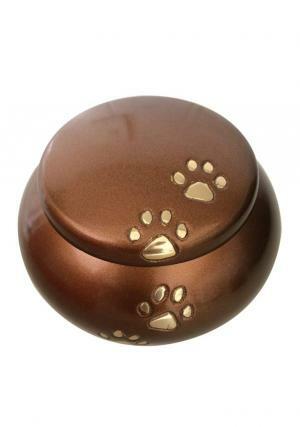 It weight just 0.52kg when unfilled, and will accommodate the full ashes of a pet. 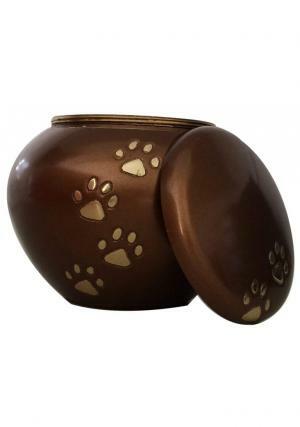 The York brown pet memorial urn is hand cast from high quality brass, and has been finished with an engraved paw design in polished brass. The flat modern lid is affixed to the urn using screw threads, for safe and convenient transport and storage. The outstanding brushed bronze effect finish will retain its lustre for years when properly looked after. We provide a made to order urn service, prices available on request. 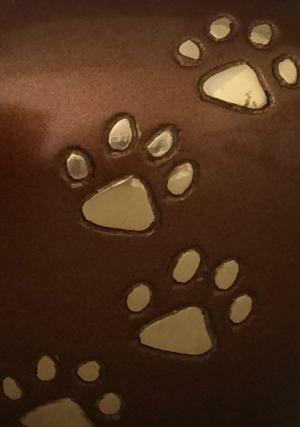 If you would like to order a bespoke urn for a specific pet type or situation, please call or email us using the following contact details: email us at cs@cremationurnsashes.com, or call us on 020 8004 6667. All of our urns are delivered free of charge to mainland UK addresses. Customers ordering from overseas should apply to our customer services team for current charges and times. Delivery is done in specially designed packaging, which protects your beautiful urn from damage during transit. 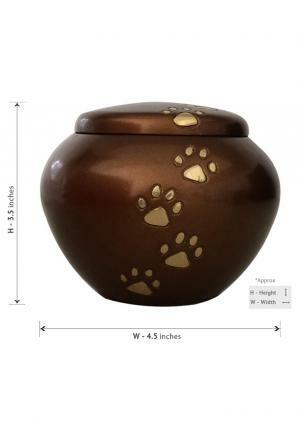 In the extremely unlikely event that there is something wrong with your order, please contact us using the details supplied above – we will do everything in our power to ensure you get a swift and satisfactory resolution, usually by sending out a replacement urn for you.